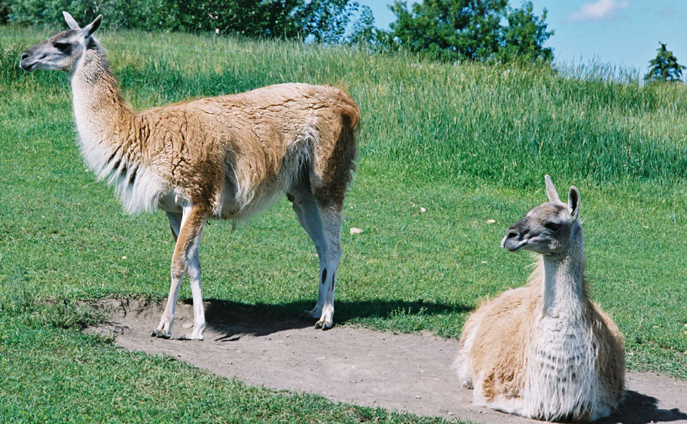 Unlike its closest relative, the llama, guanacos have not been domesticated. They live in family groups of up to 16 members, consisting of a dominant male and several females and offspring. Like their camel cousins, guanacos are able to survive long dry periods without drinking. They are hunted for food and their hides.